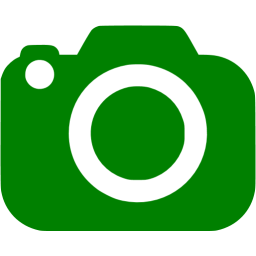 In lieu of only posting rare species sightings, we are now posting our birding activity manager’s (Marshall Faintich) blog of his field trips on the Rockfish Valley Trail. 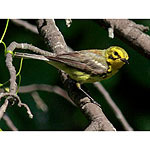 His blog reports include species seen, photos, trail conditions, and other trail information that may be of interest to birders. 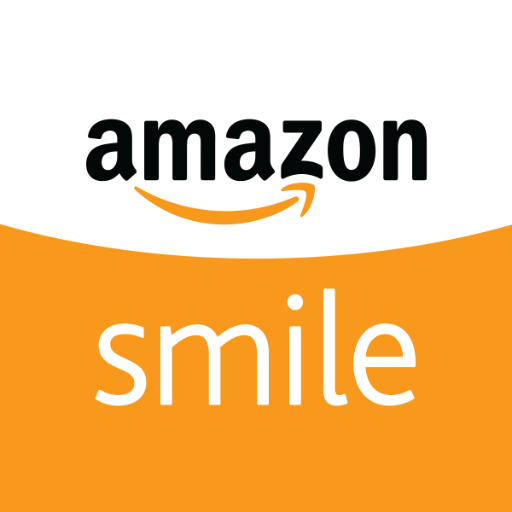 Click on the report you would like to read, and then to return to this page, either click on your Internet “BACK” button or on the Rockfish Valley Trail logo on his wildlife homepage. Rockfish Valley Trail 9/2/13 – Red-headed Woodpecker! Rockfish Valley Trail 5/9/13 – Warblers; Crozet, VA – Red-necked Phalarope! Blue Ridge Parkway; Rockfish Valley Trail 5/3/13 – Warblers! Rockfish Valley Trail 12/13/12 – Gray Ghost #2! 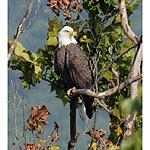 Rockfish Valley Trail 11/19/12 – Hawk Wars! Rockfish Valley Trail 9/17/12 – Connecticut & Mourning Warblers; Olive-sided Flycatcher! 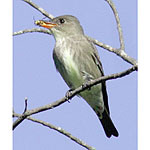 Rockfish Valley Trail; Rockfish Gap Hawk Watch 9/15/12 – Olive-sided Flycatcher! 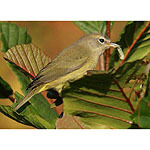 Rockfish Valley Trail 9/14/12 – Yellow-bellied Flycatcher; Blue-winged & other Warblers! 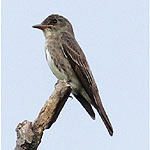 Rockfish Valley Trail 9/13/12 – 44 species; Yellow-bellied Flycatcher; Blue-winged & Lawrence’s Warblers! Rockfish Valley Trail 9/12/12 – 43 species; Warblers! Hawks! Rockfish Valley Trail 9/11/12 – Bobolink! 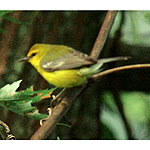 Rockfish Valley Trail 9/10/12 – Warblers! Rockfish Valley Trail 9/7/12 – 26 species – Yellow-bellied Flycatcher! Rockfish Valley Trail 4/4/12 – 33 species – Kestrels! 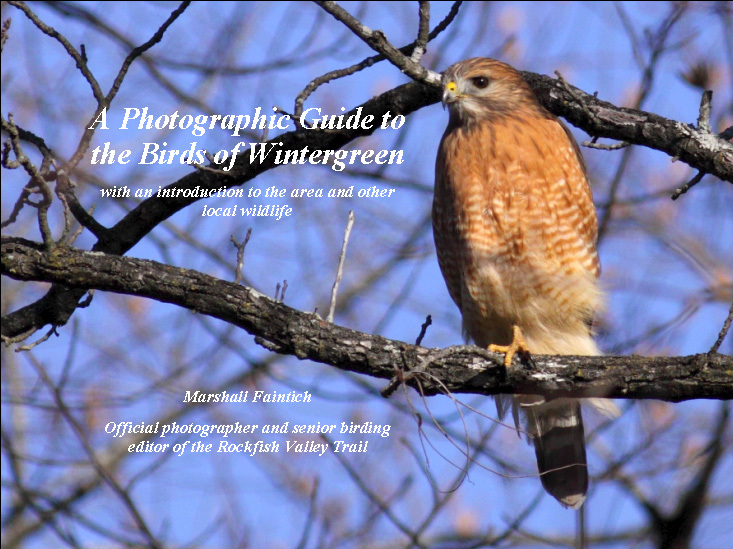 Rockfish Valley Trail 3/27/12 – Kestrels! 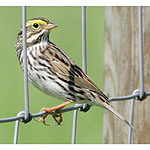 Rockfish Valley Trail 3/21/12 – 36 species – Louisiana Waterthrush, Kestrels, Sparrows! Rockfish Valley Trail 2/28/12 – 24 Species – Hawks! Rockfish Valley Trail 2/6/12 – 20 Species – Northern Harrier! 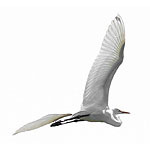 On May 15, 2010, the Rockfish Valley Trail birding expert, our own Tim Hodge, along with Nick Newberry, attempted to break the Big Day record for Virginia. Although they did not break the record of 178 species, they still had an excellent day ending with 170 species. They got started a little late and did not have time to check the Blue Ridge Parkway Pioneer Farm for woodcocks. Around dawn they were in Highland County on Alleghany Road headed to Locust Springs, but there was a tree down across the road, and it cost them nearly an hour detouring around it. 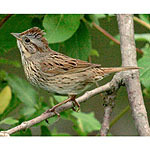 This delay necessitated skipping a couple of locations, resulting in their missing several species. They birded Rt. 642, Alleghany Rd., Rt. 640, Bear Mountain, Rt. 631, and Ramseys Draft in Highland and Augusta County. Then they headed down to the Eastern Shore, where they stopped at Island 1 on the CBBT, Eastern Shore on Virginia NWR, Seaside Dr., Magotha Rd., Willis Wharf, Chincoteague, and Saxis. Congratulations to Tim and Nick on a valiant effort. On January 2, 2010 Tim Hodge counted 42 species on a very cold and windy day. 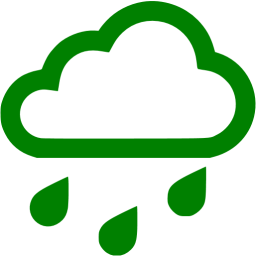 Highlight was the probable sighting of a White-winged Crossbill. 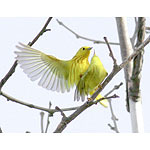 On May 13, 2009, local birder Tim Hodge decided to do a Big Day on the Rockfish Valley Trail System. He started at around 4:50 a.m. and ended at midnight that day. He recorded 101 species, 25 of which were warblers! Highlights included Ruffed Grouse, Black-billed Cuckoo, Gray-cheeked Thrush, Swainson’s Thrush, Blue-winged Warbler, Blackburnian Warbler, Bay-breasted Warbler, Cerulean Warbler, Wilson’s Warbler, and Lincoln’s Sparrow. 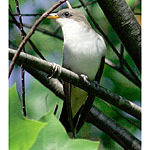 The Gray-cheeked Thrush, Swainson’s Thrush, Blackburnian Warbler, and Cerulean Warbler were all new birds for the trail. 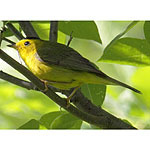 12 May 2009 A Wilson’s Warbler was in some low trees on the Glenthorne Loop trail between the wooden bridge and the bog area. 15 October 2008 An Orange-crowned Warbler was feeding in the bushes along the downstream trail near the insection with the Glenthorne Loop trail. 6 October 2008 A Bald Eagle was sitting in a tree along the downstream trail. Several crows were causing a disturbance because of its presence, and the eagle then flew across the fields toward the south-western end of the Glenthorne Loop trail. 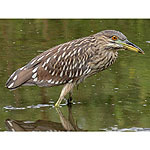 23 August 2008 A juvenile Black-crowned Night-Heron was fishing in the small pond along Route 627 of the Glenthorne Loop. A Solitary Sandpiper was there also. 15 August 2008 An Olive-sided Flycatcher was sitting on top of the highest dead branch of a tree directly across from the northern wooden bridge that crosses Reids Creek. This is the same location where one was seen on May 19, 2008. 11 August 2008 A Great Egret was fishing in the downstream trail river near Reids Creek. 20 June 2008 A Prairie Warbler was sitting in the thicket on the right along Reids Creek, about 100 feet past the first wooden bridge. 5 June 2008 A Blue-winged Warbler was sitting in the wooded brush on the Spruce Creek trail leaving from the Gallery parking area, a little way past the nursery. 19 May 2008 An Olive-sided Flycatcher was sitting on top of the highest dead branch of a tree directly across from the northern wooden bridge that crosses Reids Creek. Another Olive-sided Flycatcher was seen on May 25 on top of the highest dead branch of a tree next to Bluebird box #4 along the upstream trail.